Houston business provides outdoor lighting solutions for both commercial buildings and residential homes. NiteLites of Houston Outdoor Lights is owned and operated by landscape lighting designer, Rob Greening. Mr. Greening has a talent and passion for outdoor lighting. Recently in Kansas City, MO for the NiteLites National Outdoor Lighting Conference, he explained his technique for applying unique lighting for each property. He basically designs with three different layers of light. These include background mood or ambient lighting, spot lighting to accent a focal point, and functional light to clearly show pathways, steps, and stairs. Functional lighting helps ensure that people on the property can safely maneuver the outdoor living spaces. 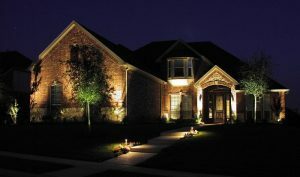 Plus, exterior lights enhance home security utilizing spot, flood, and wall lights. The overall impact is awe inspiring as well as expanding the livable outside areas. By using specified LED light fixtures with the appropriate brightness Mr. Greening’s goal is to create truly beautiful outdoor areas. Included are some outdoor lighting photos which showcase his outdoor lighting technique. 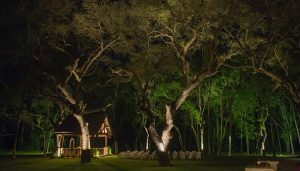 Mr. Greening was recognized with the Silver Sales Award for both 2015 and 2016 as well as the President’s Club Award for 2015 at this year’s conference.To see more Houston outdoor lighting photos, visit https://www.nitelites.com/locations/houston-texas-outdoor-lighting/ or Houston Outdoor Lighting Facebook. For more about Houston Outdoor Lighting Services, contact Rob Greening at (281) 454-4900.